Koz&apos;s Mini Bowl is a Milwaukee classic. Published March 22, 2019 at 9:02 a.m. 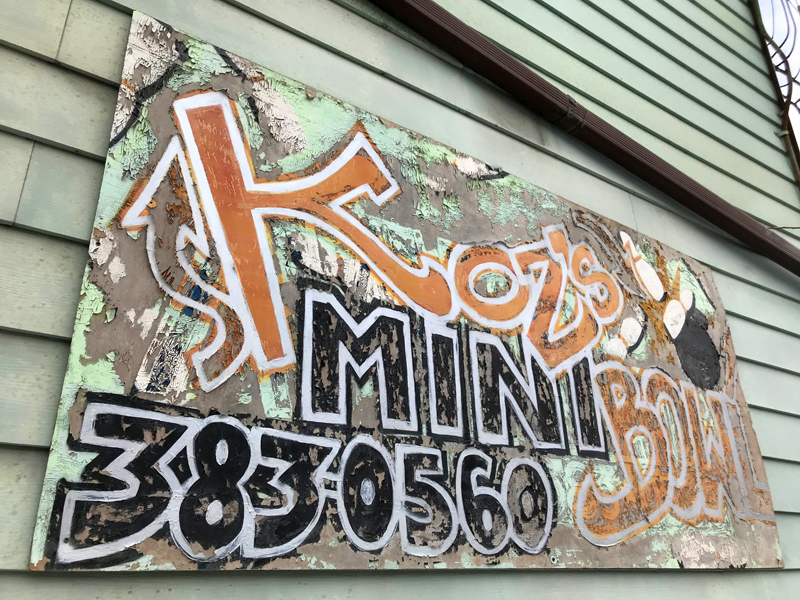 There are some places that we just can't imagine losing – though, of course, many such classics have disappeared over the years – and Koz's Mini Bowl, 2078 S. 7th St., on the South Side is surely one of them. 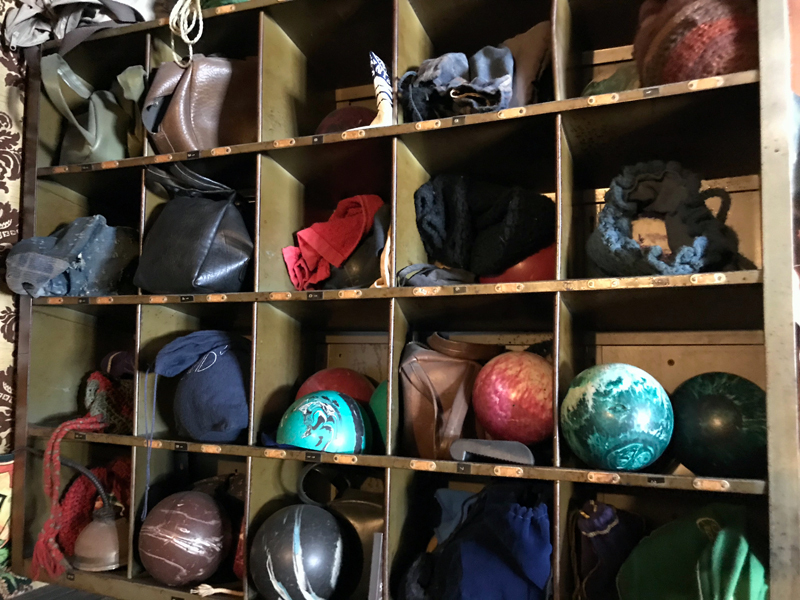 Along with the likes of Kegel's, At Random, Bryant's and Holler House, Koz's – tavern with four duckpin bowling lanes in the back room – is a beloved South Side favorite. It is also a long-lived one. 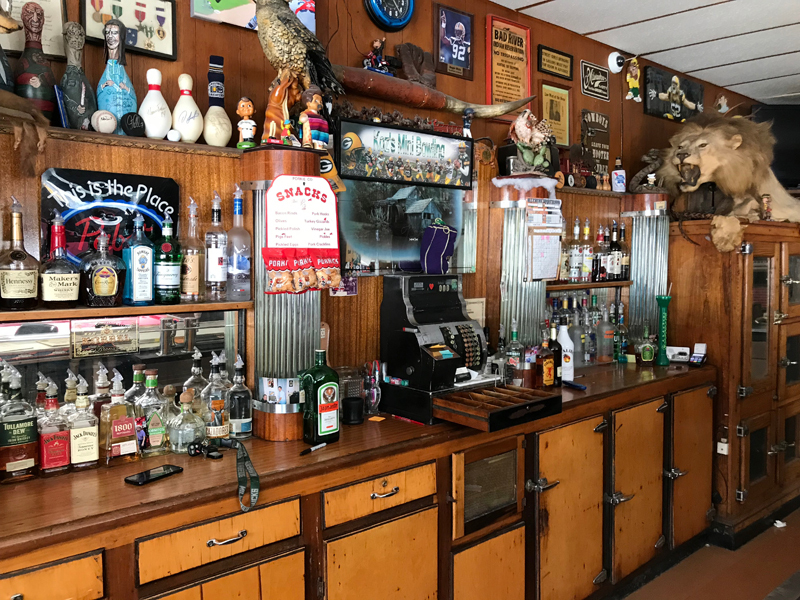 Last year, Justin Kosakoski – who runs the place with his family, including mom Carol – celebrated the 40th anniversary of his father DuWayne's purchase of the bar in 1978. In honor of the more than century-long history of the corner tap, the City of Milwaukee's Historic Preservation Commission is working with Kosakoski on a historical plaque that notes the building's long service to thirsty Milwaukeeans and fun-seeking kegelers. According to Carlen Hatala, of the city's preservation office, the plaques – which are funded by the business owner, not the city – were the idea of 13th District Ald. Terry Witkowski. "Ald. Witkowski wanted the plaques for places of interest," she says, "not just locally designated properties so having designation does not matter for plaques." So, while Koz's isn't a designated historical property, it's surely one most of us would agree is noteworthy. Just ask Liquor.com, which ranked Koz's 67th on its list of "297 Bars That Matter Most – Right Now." Hatala, in preparing the usual report for the committee when discussing a property, opined, "The request for a plaque has merit. The building at 2078 South 7th Street has been in continual use as a saloon/soft drink parlor/tavern since the late 1880s and since 1947 has featured duck pin bowling. 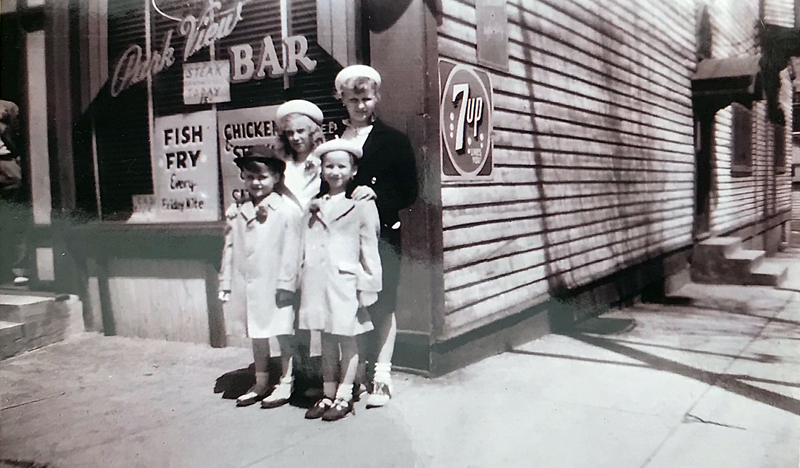 The exterior cladding and storefront have been altered over time but the interior features all the décor often associated with neighborhood taverns with the special character of a small, vintage bowling alley." The tavern that houses Koz's appears to have been built in 1887 by Prussian immigrant Jacob Jagodzinski on land that was purchased by his father John in 1880 from J.A. Becher, whose surname graces the street outside Koz's. According to the 1880 census, John was a 53-year-old laborer whose work was surely stymied by his rheumatism. The 24-year-old Jacob was also listed as a laborer. Another Jagodzinski family – whose patriarch was 34-year-old Joseph – lived next door on South 7th Street. According to Hatala's research, the lot was split into two parcels – east and west – in 1887, which is when construction of the saloon likely began. The younger Jagodzinski's family home (since razed) was located on the eastern portion. "There were improvements on the lot even then commensurate with a modest cottage or house, possibly the one that had stood at the rear of the lot and was addressed on Becher (Jacob's home)" Hatala tells me. "It could be the classic case of a cottage being moved to the rear for new construction facing South 8th." By 1888, Jacob is listed in the Milwaukee city directory as running the new saloon and a grocery store there, too. But he didn't last long there, according to Hatala's report. "He reverted to his prior occupation as a laborer in 1889," the report notes, a census confirming that Jagodzinski was later working in a lumber yard. "In 1893 the property went into foreclosure and was acquired by Milwaukee Mutual Loan & Building Society. Jacob moved out of the saloon and grocery to the small house at the back of the property, fronting on Becher Street." Information on the place goes dark for a couple years, though there are 1892 newspaper ads for a show being staged at the saloon. "Billy Mason will exhibit his original London Punch and Judy," the ads boast. "Music and singing." 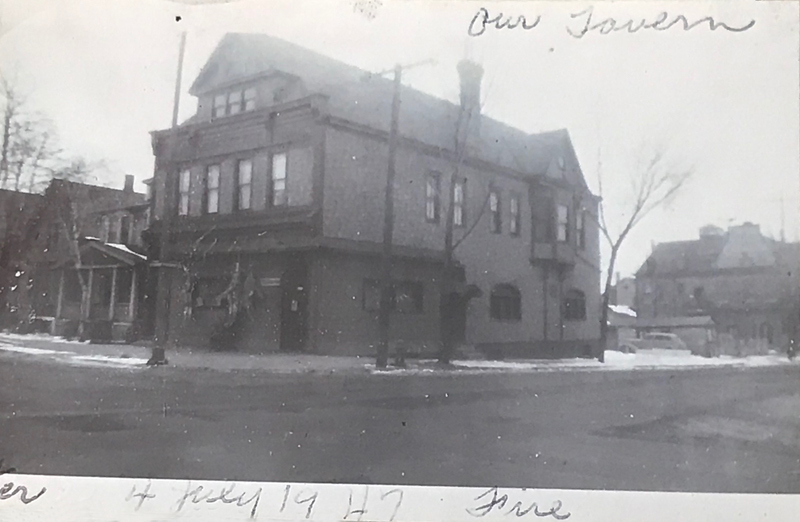 By 1895, with the Jagodzinskis still living next door – as they would for many years – veteran tavernkeeper Michael Danowski obtained a license to sell liquor in Jagodzinski's former tap. Danowski would remain behind the bar for more than 30 years. According to the report, "He would eventually come to own the building. Michael lived upstairs with his wife Stella (Stanlia) and their children Edward, Joseph, Michael Jr. and Roman." 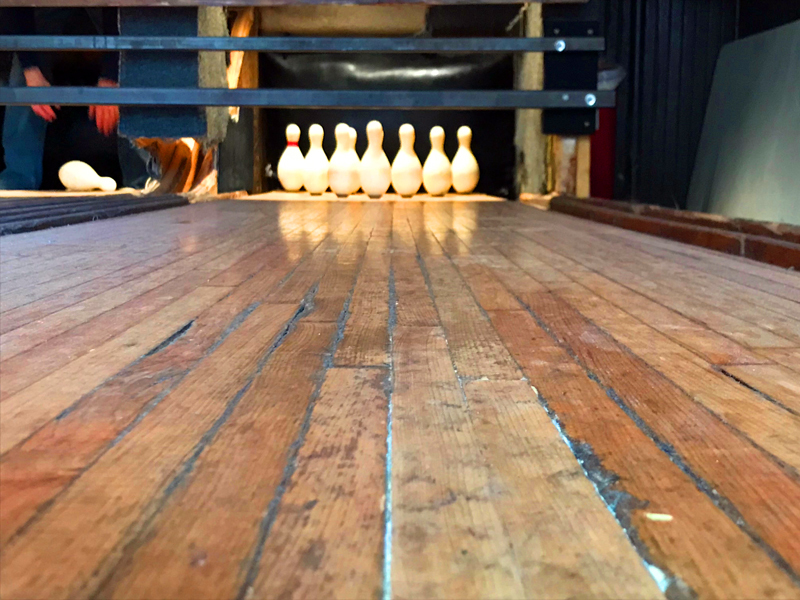 In 1904, Danowski built a $3,000 wood and brick addition to the bar, which we recognize as the space that houses Koz's duckpin bowling lanes. 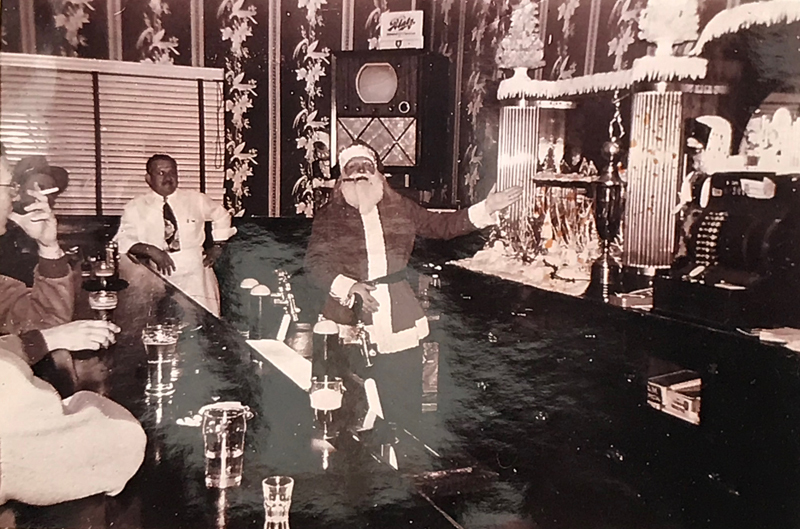 When Prohibition went into effect in 1920, Danowski converted the bar into a soft drink parlor and to make ends meet he also rented space to barber John McClellan. Danowski died in January 1926 and was replaced behind the bar by Casimir Budziszewski, whose nickname, Shorty, led to the saloon becoming known as Shorty's. Born in Poland, Budziszewski arrived in Milwaukee in 1906. In 1931, Shorty replaced the windows and floor in the space and three years later, a year after Repeal, Budziszewski reconfigured the windows and moved the entrance to the corner. Shorty appears to have left the tavern game by the mid-1940s, making way for Bernard (Ben) Szejna in 1946. The following year, Budziszewski died and a brief obituary appeared in the newspaper. Ben Szejna, far left, circa 1947. Budziszewski, 58, had worked as a steeplejack (scaling towers and steeples to make repairs) for the William Kuptz Co. and died at home 6800 N. Green Bay Rd. after a short illness. 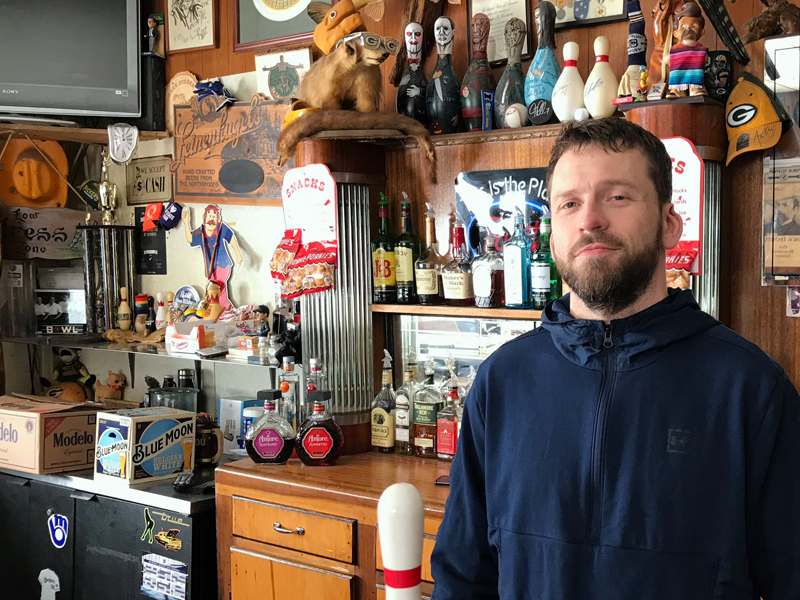 Szejna is the man responsible for bringing duckpin bowling to the tavern, by then called Ben and Harriett's Park View Bar. On July 4, 1947, a short circuit in an electric refrigerator cooler sparked a fire that caused $2,000 damage to the bar. Afterward, Szejna repaired the damage, altering the storefront and adding the lanes. Szejna also made some appearances in the local papers, and it may be during this era that the apartment upstairs was converted into a series of single-room occupancy rooms. In 1949, he was busted for drinking with another man in the bar after hours and three years later he was back in court. "A gambling case defendant spent a brief time Monday as an officer of the district court," read one article. "He was Bernard Sjena, operator of a tavern at 2078 S. 7th St. Police said he was running a bingo game in the tavern when they visited it Sunday. While he was awaiting hearing, a case in which a recently arrived displaced person was accused of changing his clothes on a public beach came before Civil Judge Myron L. Gordon, who was presiding. This defendant and the judge could not understand one another, and Judge Gordon appealed for an interpreter. Sjezna volunteered. The defendant was released and the charges against him were dismissed. The charges against Szejna were continued to Sept. 22 and he was released without posting bail. The police said that 60 to 70 persons were in the tavern when it was raided. They said Szejna used the game to draw business, but did not charge admission or fees for the cards. He did, they said, award prizes." 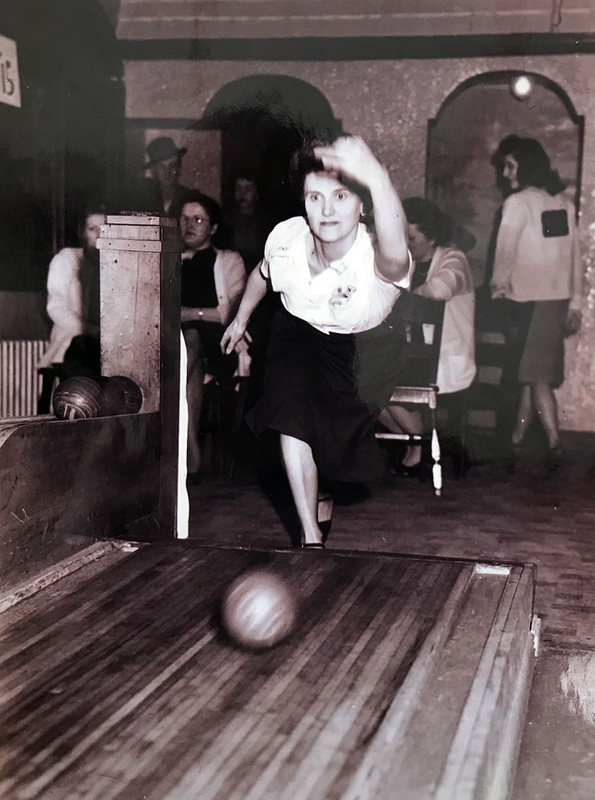 Harriett Sziejna on the lanes. Szejna's case was dismissed because he hadn't charged customers to play, but a judge childed him for using "bad judgment" and cautioned him not do it again. 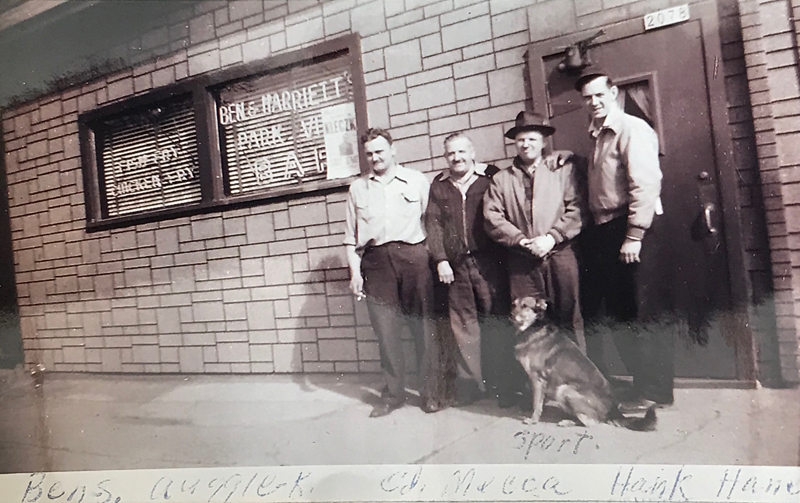 In 1951, Szejna had tried to sell the bar, taking out ads that boasted of a "tavern with beautiful equipment, miniature bowling alleys, exceptionally good business," but he remained at the helm for a few more years. In 1956, Sam (Sinisha) Chenich bought the place, along with Bob (Bosko) Kresovich, though Chenich appears to have been the operator of what became known as Sam's Parkview Bar (though at least one newspaper ad that year refers to it as Bob's Parkview), where the duckpin bowling was proving to be a big draw. "There's a different kind of bowling going on these days and nights at 2078 S. 7th St. where Sam Chenich is the proprietor. 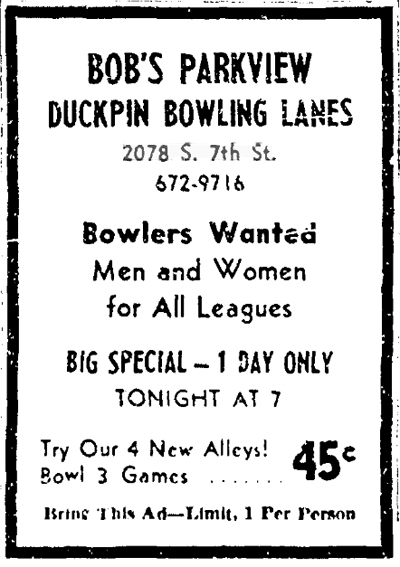 Parkview Duckpin Bowling Lanes. Sam started the sport there some 10 years ago, but only during the last few seasons has its popularity forged to the front. He has four lanes, each only 16 feet long and less than 30 inches wide. But the bowlers go for the fast action as though it was icing on a cake. Chenich has organized 12 leagues and has 72 teams. In addition he has junior play for both boys and girls and has divided them into juniors (7-12) and teens (13-17). And to give you an idea how well these youngsters are doing -- Popac Alvaro is averaging 207 as a 'teener' and Mike Pasting, who is only 11, is averaging 185. Bowlers see action ranging in ages from 7 through 77. Laural Pietrowial has 175 and Jerry Berndsen 174 and they are only 7. But Harold Fabich is 77 and he has a 199 average on the board." 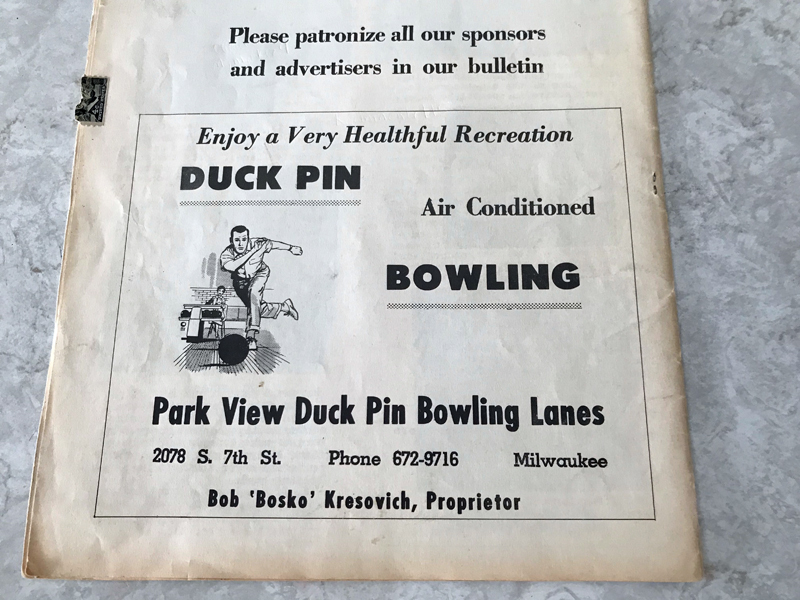 Soon after, however, Kresovich appears to have taken over until about 1970, running the place as Bob's Parkview Duckpin Bowling Lanes. By the following year it was Mike's Park View Bowl, under the auspicies of Kresovich's brother-in-law Mirko (Mike) Lakic, who told Milwaukee Sentinel sports writer Ken Bunch, "I came to the United States (from Yugoslavia) 10 years ago and began bowling here when my brother-in-law owned the place. When he got ready to sell three years ago, I bought the place. "It's hard to believe how friendly the people are here. I've never had any problems. A lot of our people can't bowl on big alleys (they have physical handicaps). That's what makes this place so special. When anyone gets sick or goes to the hospital, we take up donations and send flowers." In 1976, Lakic remodeled the exterior of the building and added the seafoam green aluminum siding you see today. Two years later, in the back room, Marvel Cameron wowed the duckpin world by shooting a 900 series. That year, Duwayne Kosakoski took over. 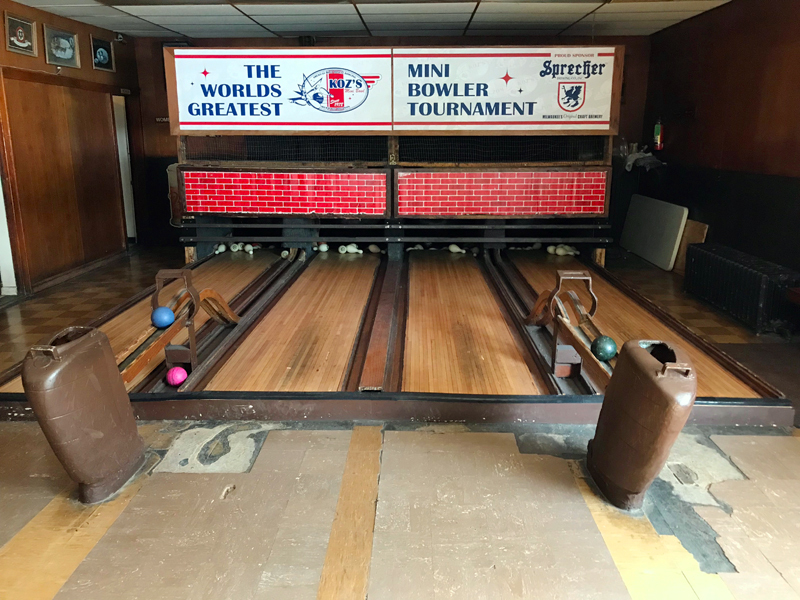 In an issue of the newsletter that the bar used to print, he wrote, "As the new owner of Parkview Lanes, many people were worried that I might take the alleys out. I not only promised to keep the alleys, but to do something to perpetuate the interest and permanence of the league." 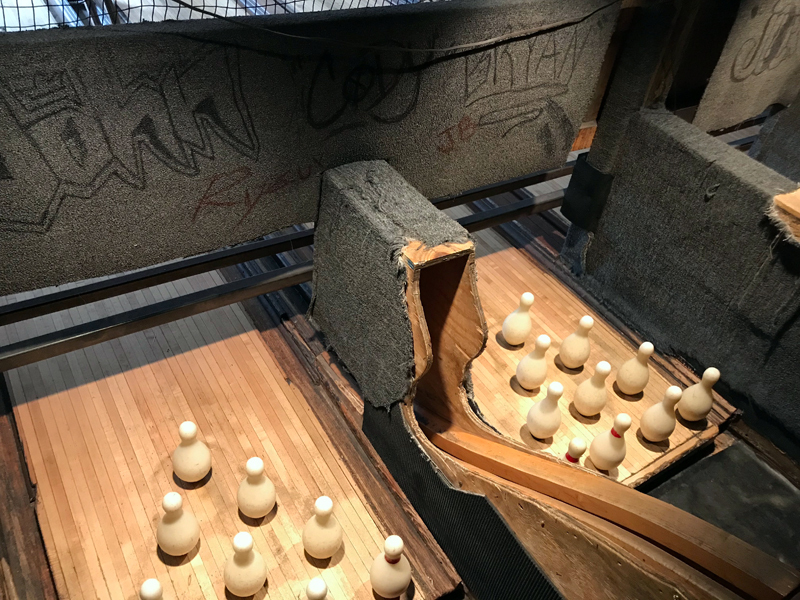 As Hatala noted in her report, "Although the numbers of leagues and league nights have declined, the lanes are still popular on weekends and with groups and parties." 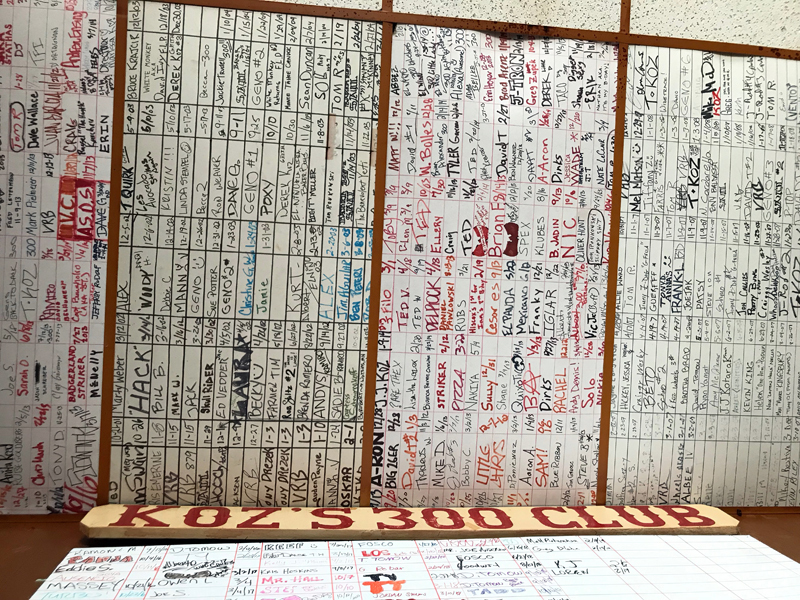 It's true that the leagues are gone, but just check out the Koz's 300 Club board and you'll see that a few have already been thrown in 2019. Folks still come here to bowl and to have a good time. I've brought my kids there and had a blast and I've brought visiting friends and relatives there and had nights to remember. That's the draw, says Justin Kosakoski. "Alot of people come here and most of their stories are because of bowling," he says. "But I think a lot of people keep coming back for the family environment. They come to see my family, old friends. It's of like a 'Cheers' location, where people can go find a place with the feel of a regular bar, a comforting spot. "But, if I didn't have the bowling, I wouldn't be doing this. Most corner bars and all bars are falling out of business anyway. I would think if I didn't have the bowling here, they would just be wanting me out of here." And that would be a real shame. 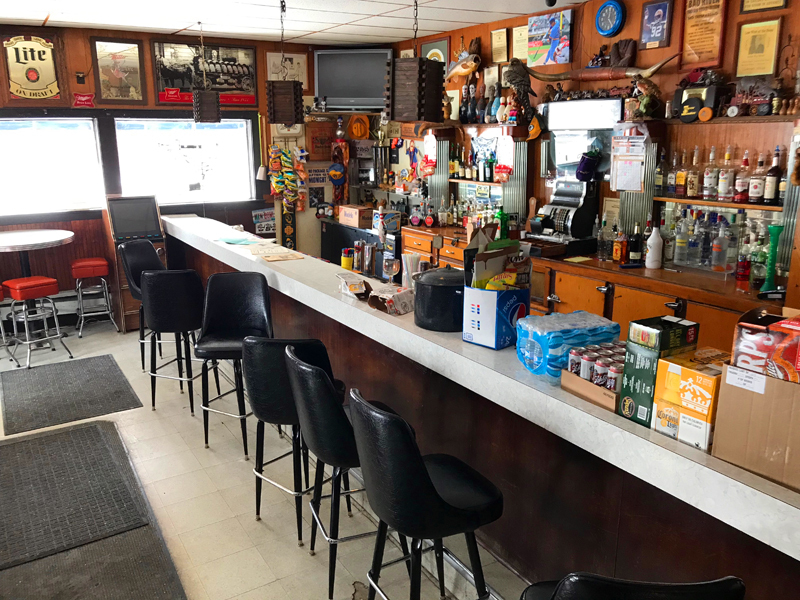 The barroom is a classic Milwaukee corner tap, with a gorgeous wood back bar – from which the elder Kosakoski stripped all the black paint that had been slathered on it at some point – and an original ice box to which refrigeration has been added. Farm implements that Duwayne had used in his work before he owned the bar adorn one wall and a variety of memorabilia, including an original sign that cautions, "street girls bringing in sailors must pay for room in advance," and that Kosakoski says dates to when the SRO rooms were upstairs. 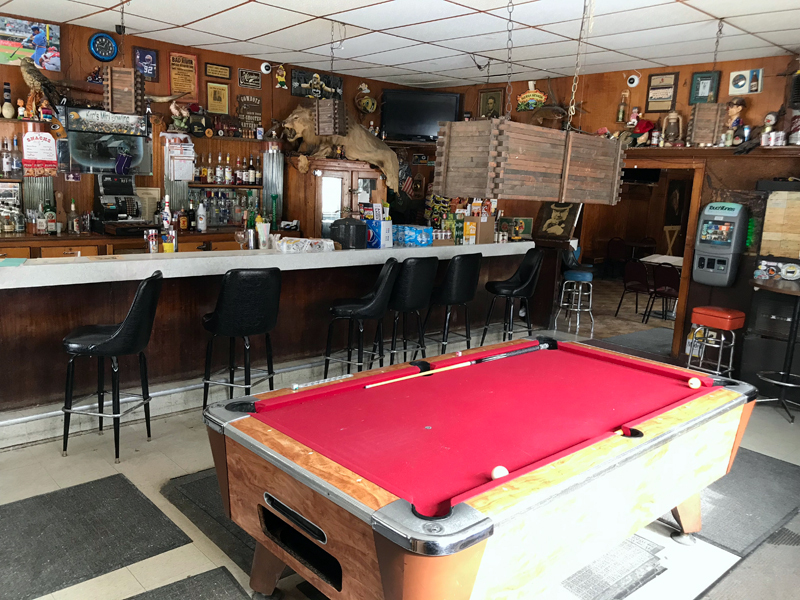 There's a pool table smack in the middle of the room, a juke box off to the side and, watching over it all, a taxidermied lion that is NOT for sale, so don't even bother asking. In the back room, there are the lanes, which are still reset by human pinsetters who perch on a bench while bowlers hurl heavy balls in their direction. 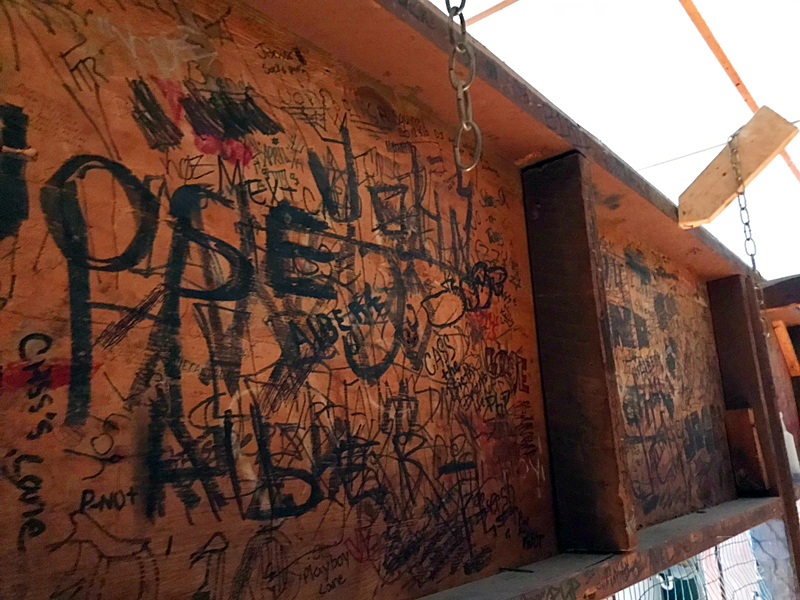 Across from those perches are panels covered in graffiti as pin setters across the decades have scrawled their names. Out on the other side, glance up to see the ceiling tiles full of names of members of the 300 club, going back many years. Kosakoski carries on the long tradition of living above his saloon. "There's two apartments up there," he says. "My mom stays in one, my wife and kids and I stay in the other. I turned it into a home." Other than fixing problems as they pop up – and in a building dating to 1888, they do pop up – Kosakoski has no big ideas about changing much of anything at Koz's. Why should he? "Yeah, you don't mess with it ... you don't change anything," he says. "I've renovated the upstairs and taken care of the building because I plan on keeping it." Vintage photos courtesy of Koz's Mini Bowl.